Famous for its cheese, chocolate, and expensive watches, Switzerland is a unique tourist destination, offering snowy slopes, sunny lakes, idyllic countryside, and exciting cities. With 26 cantons and four official languages, the country is home to a huge range of food, culture, and history, making every day different. Switzerland has so many incredible mountains that it can often be difficult to know where to start. The Matterhorn is one of the country’s tallest and most popular mountains, reaching impressive heights of nearly 4,500 meters. It’s a great spot for both skiers, who can take to the mountain’s 360 kilometers of pistes, and hikers, who can explore the 400-kilometer-long network of hiking trails. 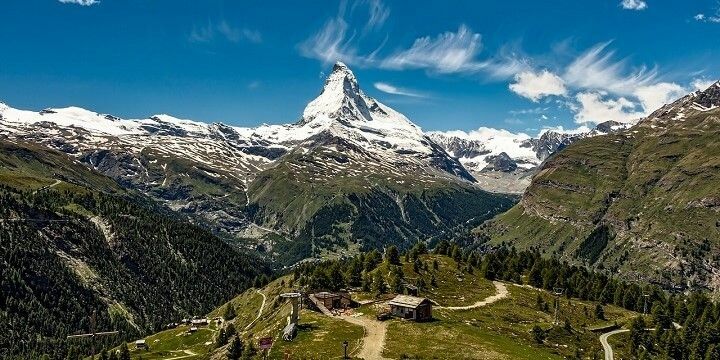 The Matterhorn is one of Switzerland's tallest mountains. If you want incredible views without the risky trek, there are plenty of accessible viewpoints around the country. You can reach the peak of Monte Bre in Lugano in around 90 minutes. 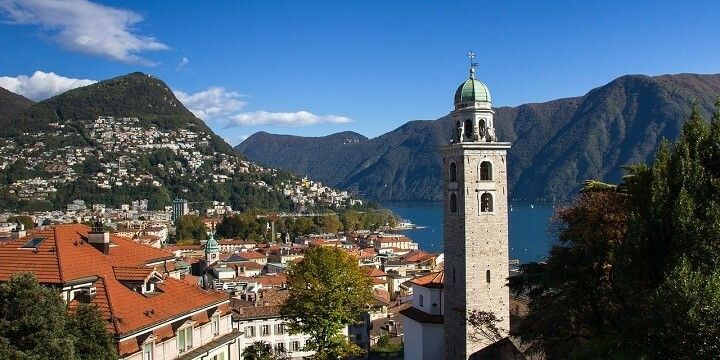 Once you get to the top, you’ll be rewarded with panoramic views over the Lugano lake and surrounding mountains. Monte Bre offers great views over the Lugano Lake. Meanwhile, Zurich offers breathtaking views without the tiring hike: take the funicular up the 871-meter-high Uetliberg, from where you can see all of the city’s most famous landmarks, its stunning lake, and the nearby Alps. You probably won’t have time to visit Switzerland’s 7,000 lakes during your stay, so where should you start? The country’s largest lake is Lake Geneva, where visitors can enjoy parasailing, kayaking, paddle boarding, and more. There are also lots of beaches around the lake, for those who simply want to kick back and relax. 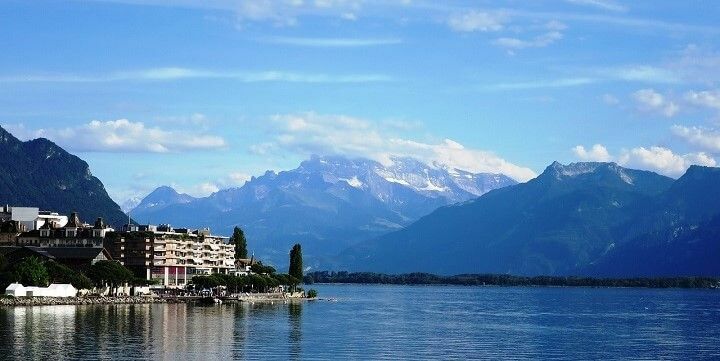 Lake Geneva is Switzerland's largest lake. Alternative options include Lake Lucerne, surrounded by the Alps and idyllic meadows, Oeschinensee, one of Switzerland’s high-altitude lakes, and Lake Constance, the third-largest lake in Central Europe, which straddles the borders with Austria and Germany. If you’re looking for great nightlife, you’ll be spoiled for choice in Switzerland. Zurich offers a wide variety of venues, from Langstrasse’s famous clubs to chic, rugged bars in Kreis 5, the former industrial area. 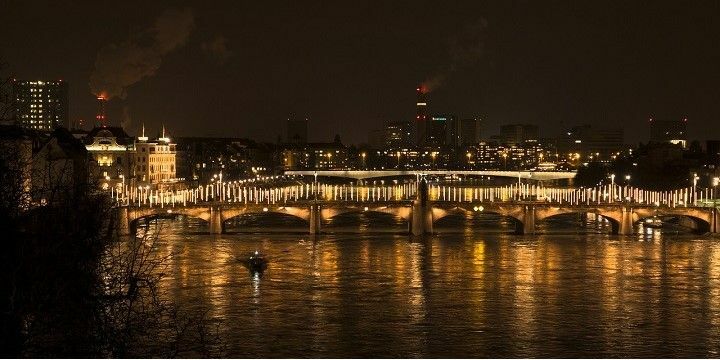 Other major cities, such as Geneva, Basel, and Bern, also have exciting nightlife scenes; however, as in all Swiss cities, don’t expect a cheap night out! The city of Basel is great for nightlife lovers. Wine connoisseurs will fall in love with Switzerland’s wine regions: 20 of its 26 cantons currently have vineyards with delicious wine tasting and unforgettable mountain views. The country’s largest wine producer is Valais, which is also home to the Valais Wine and Vine Museum, offering more information about vineyards and wine production. There are plenty of spots around the country to learn about Switzerland’s fascinating history. Let’s start with some of Switzerland’s most beautiful castles. The 13th-century Oberhofen Castle wows visitors with its beautiful gardens, which are home to a range of exotic plants and colorful flower displays. 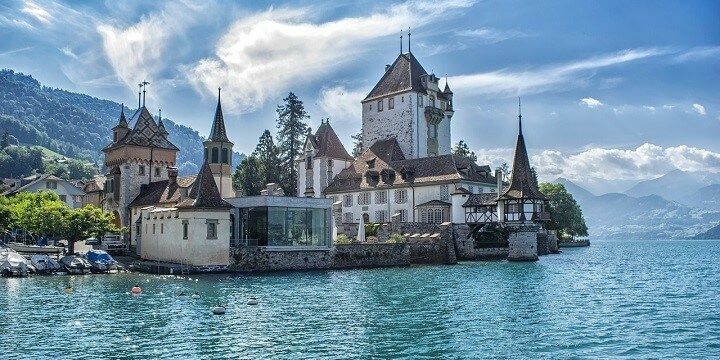 Oberhofen Castle dates back to the 13th century. Meanwhile, Chillon Castle, located on the banks of Lake Geneva, is a twelfth-century fortress, with underground dungeons, gothic architecture, grand halls, and a peaceful chapel. 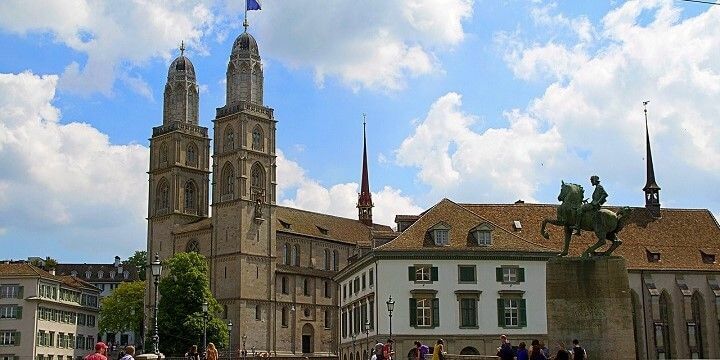 If you’re interested in religious history, check out the Grossmünster in Zurich, the home of Switzerland’s Protestant reformation. As well as learning about this momentous change in Swiss history, be sure to climb up the steeple’s 187 steps, from where you can see as far as the Alps. The Grossmünster in Zurich features 187 steps to the top. For those of you who are interested in ancient history, don’t miss out on the Augusta Raurica. Located about 20 kilometers from Basel, this site is home to the best-preserved Roman theater north of the Alps, as well as the Roman Museum, which displays fascinating ancient artefacts. If NextStop24 helped you to choose your next travel destination, we'd be very grateful if you’d search for your accommodation and things to do in Switzerland through these links. They're affiliate links, which means that we will receive a small commission for every booking made through them. There are no extra costs for you; you'll simply be helping to keep NextStop24 running. Thanks! Zurich was BEAUTIFUL and I'd highly recommend it to anyone visiting Europe. All the charm of Paris in a smaller setting and natural beauty with Lake Zurich and the Alps in the background. Check out the Grossmunster church (climb to the top to get great views) and eat fondue at Le Dezaley (they take reservations online). Easy to get to via bus, train or plane! Absolutely stunning mountains and scenery all around. Met the nicest people along the way and cannot wait to go back and see more of this beautiful country! Hiking to Harderkulm in Interlaken Going out hiking if there is a winter storm..